In 1957, then Sen. Lyndon B. Johnson, D-Texas, urged directors and staff of the nation’s electric cooperatives to bring young people to Washington to get a first-hand look at how government works. “If one thing goes out of this meeting, it will be sending youngsters to the national capital where they can actually see what the flag stands for and represents,” Johnson said at the annual meeting of the National Rural Electric Cooperative Association (NRECA). In Johnson’s home state, the electric cooperatives heeded his call by sending groups of young people to Washington to work during the summer in Johnson’s office. In 1958, a rural electric cooperative in Iowa sponsored a week-long tour of the nation’s capital for a group of 34 students. Later that same year, another busload came to Washington from Illinois. The idea soon caught on and other states began sending groups of young people to Washington throughout the summer. By 1959, the Youth Tour comprised 130 students. 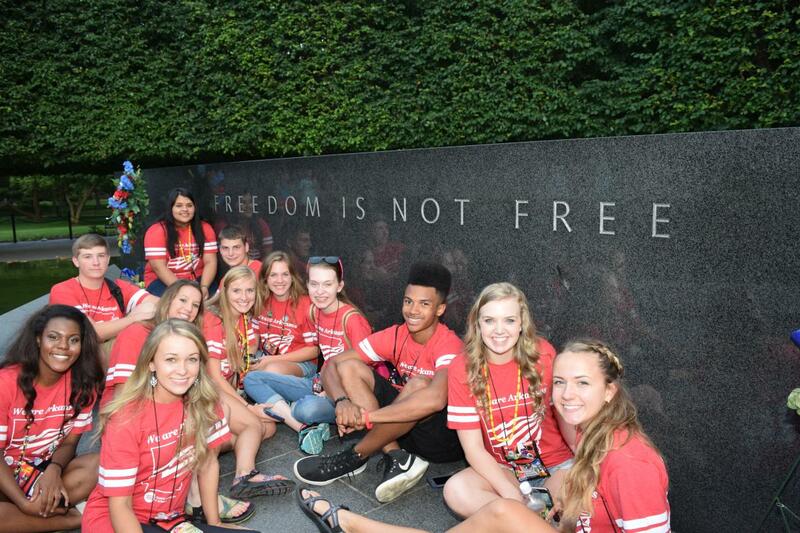 In 1964, NRECA began to coordinate joint activities among the state delegations and suggested that cooperative representatives from each state arrange to be in Washington during Youth Tour week. During the first year of the coordinated tour, cooperatives from 12 states sent about 400 young people to participate. Word of the program has continued to spread. 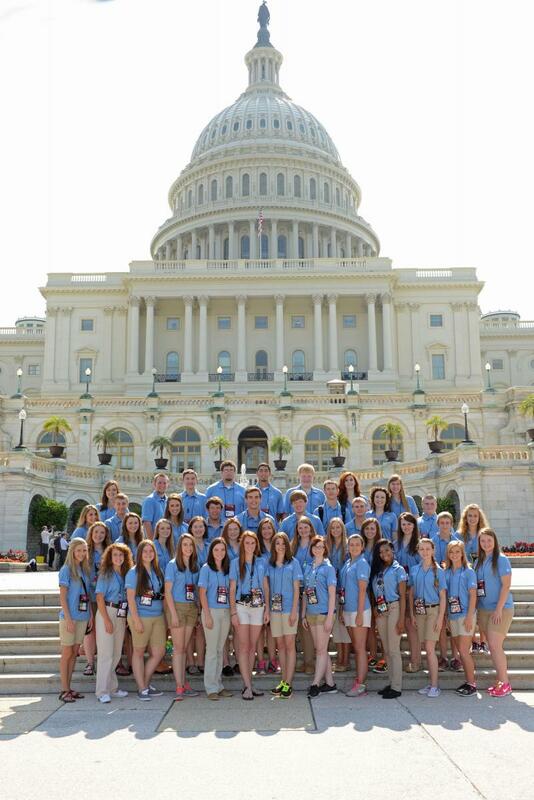 Today, more than 1,300 young people and their chaperones attend the Youth Tour every year. Alton Higginbotham, former president and chief executive officer of First Electric Cooperative Corp., was instrumental in starting the program in Arkansas. He noted that the program attracts the “best and brightest” of Arkansas’ youth. In addition to learning about the federal government, the program gives them a better understanding of the important role of the electric cooperatives, he said. “It educates young people about the rural electric program and lot of them will go on to become leaders in the community,” Higginbotham said, adding that many Youth Tour participants now serve in state legislatures and Congress. Arkansas’ electric cooperatives have sponsored the tour for Arkansas youth annually since 1990. About 40 high school juniors and seven chaperones attend the Electric Cooperatives of Arkansas’ Youth Tour each year. Tour participants are selected by the state’s 17 electric distribution cooperatives through essay contests and interviews. During the tour, the group visits historic sites such as Mount Vernon, the Smithsonian Institution, Arlington National Cemetery, the Lincoln Memorial, the U.S. Holocaust Museum and the U.S. Capitol. They also visit with members of the Arkansas Congressional Delegation. The 2018 Arkansas Youth Tour is set for June 14-20, 2019. For more information, contact your local electric cooperative or J.D. Lowery, Youth Tour director for Arkansas, at 501-570-2274 or jd.lowery@aecc.com. Also, visit NRECA Youth Programs for more details.